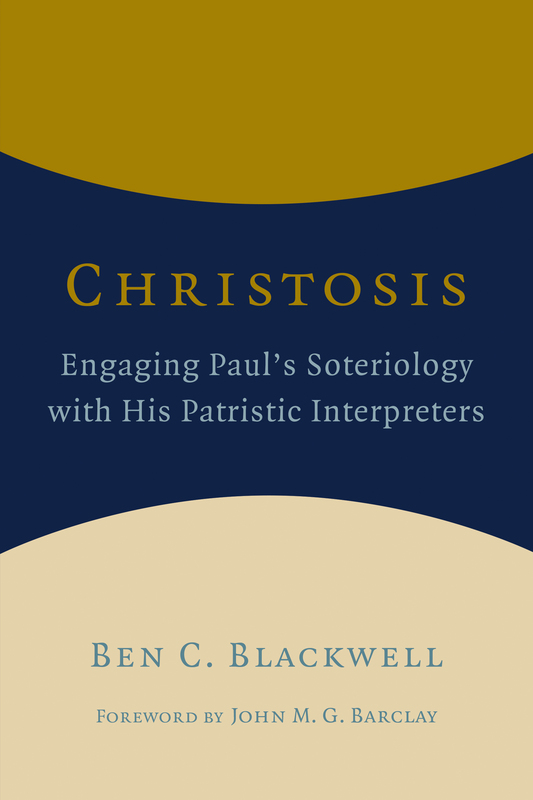 I recently posted a link to my co-authored essay on “Theosis and Theological Anthropology.” In that essay, I extended my work on theosis and Paul to focus on the later theological appropriations of theosis in Maximus the Confessor (with regard to Christology) and T.F. Torrance (with regard to the Trinity). Being that that essay is still rather academic, I got a request to put the cookies on the lower shelf. As a follow-up to that essay, I wrote a short piece for a blog that summarized the key biblical points: “‘Man as a God in Ruins’: Theosis in the Christian Tradition.” Using Psalm 82 as a lens on deification, I walk through the key ideas that undergird patristic views on theosis. The Bible is itself a witness to humans/believers being called ‘gods’, and I briefly walk through what that terminology entails through key biblical texts, in the OT and the NT (especially with the apostle Paul). While the topic of theosis has grown in popularity among scholars, I regularly get awkward looks by students and family when the term arises. 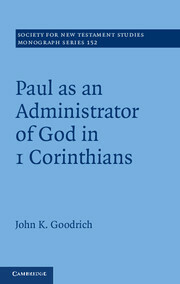 While my primary work has been in the area of theosis and the Bible, particularly theosis and the apostle Paul, I cut my teeth on the topic with my masters work on Maximus the Confessor. As a fruit of that work, I later co-authored a piece for the Ashgate Companion to Theological Anthropology with a friend Kris Miller. 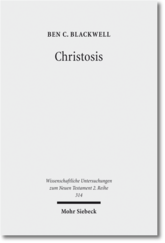 In our essay “Theosis and Theological Anthropology,” we explored theosis from a Christological perspective (via Maximus the Confessor) and a Trinitarian perspective (via T.F. Torrance). If you are looking for a primer on theosis, this essay would give you the key ideas that I think are relevant. 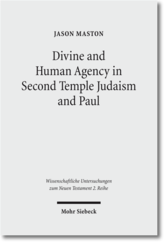 We got a few responses from our Reading Romans in Context: Paul and Second Temple Judaism volume that we were just beholden to the New Perspective and its fundamental problem—letting Jewish texts determine the meaning of inspired revelation. (That said, if they had actually read the volume or understood the New Perspective, they would have not so easily made that claim about our volume.) The challenge seems a little less pressing when you consider Jesus in his Jewish environment like we have with Reading Mark in Context: Jesus and Second Temple Judaism, but even then I (Ben) have received a comments from some quite hesitant to allow any uninspired text to shape our understanding of the Bible. That sounds spiritual, but the historical study of the Bible is foundational for all serious interpretations. 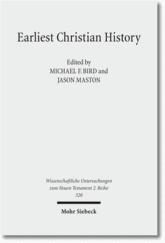 Whether one follows the historical-critical method or its evangelical cousin the historical-grammatical method, the key idea is history. We don’t have any problem studying the practices of the cult of Artemis in Ephesus to help us understand Luke’s portrayal of Paul’s experience there in Acts 19. We don’t have any problem looking at archeological dig sites to help understand the daily life of Jews and their Decapolis neighbors to understand Jesus’ early ministry in Galilee. In fact, my evangelical compatriots often rightly appeal to the distinctly historical nature of the narrative accounts in the Gospels and Acts to argue for their reliability. In these cases, allowing for a historical boundedness to meaning does not entail that we are letting uninspired knowledge determine the meaning of the Bible. Rather than a hindrance, we think of these as aids. In the same way, we have a treasure trove of Jewish texts that give us a window into historical perspectives of Jews contemporaneous with the New Testament. Why would ignore this rich variety that we find in the Apocrypha, Pseudepigrapha, Dead Sea Scrolls, Philo, Josephus, etc.? These help us gain invaluable historical information about the first century Jewish experience. 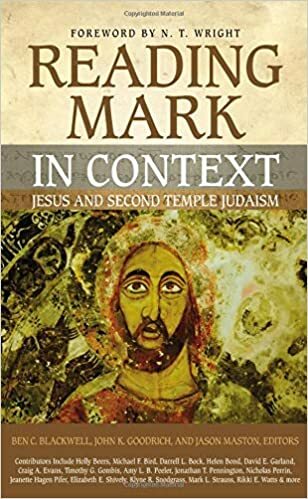 When you read Reading Mark in Context, you will see that Jesus and Mark disagree with or modify Jewish categories as much as they accept them. As a result, we are not allowing these other texts to control our understanding of the Bible. They do, however, enlighten our understanding. If we are concerned with bad interpretation, I am much more worried about those who ignore historical information and therefore import their own very modern conceptions back onto Jesus and the New Testament. As they try to avoid letting actual historical documents determine the meaning, they end up committing a worse error by allowing their own opinion to determine the meaning (i.e., eisegesis). God chose to reveal himself in Jesus in a Second Temple Jewish setting for a reason, and it behooves the serious interpreter to understand the historical context in which God’s revelation occurred so we can understand it better. Reading Mark in Context won’t uncover all the historical issues, but it can at least tangibly introduce you and your students to Jesus’ world. Why read Mark in dialogue with ancient Jewish sources? One reason: Jesus was a Jew. This point seems simplistic and every scholar and, in fact, lay person knows this. But knowing it and trying to make sense of it are two different things. Jesus lived and Mark wrote in a world different from our own, and the best way we have today to inhabit their world with them is to study them alongside other literature from that time period. There are several benefits that come from studying Mark and Jesus alongside their contemporaries. First, scripture opens up to us. Figures like Herod, the Pharisees and Sadducees come alive. Jesus’ words about the kingdom of God or the strange figure of the “Son of Man” begin to make more sense. We can better understand the distinctiveness of Jesus, as well as see how he was a typical Jew in so many ways. A second benefit is the converse of the first: scripture becomes mysterious. Many of us contain or constrain the mystery of scripture. We bypass the awkwardness, ignoring it or forcing it into paradigms we are more comfortable with. Yet, when we read Mark or study Jesus alongside their contemporaries, it flags for us that Scripture is not a 21st century text. We realize that Mark tells a strange story about a crucified messiah, a figure who belonged to his ancient context and yet exploded beyond it. Reading Mark alongside other Jewish literature helps us see that Mark—and Jesus—are redefining reality both in their ancient contexts and in ours. Jesus becomes a mystery again, a figure we can’t contain. Why read Mark in dialogue with ancient Jewish sources? Because we discover the wonder of Jesus in new, refreshing and life changing ways. Get Reading Mark in Context (Zondervan) at Amazon. Not Enough Info for Reading in Context? Just the other day a new student asked me (Ben) about studying the New Testament and early Christianity. They were wondering how you study early Christianity because we have relatively few sources for knowing what they thought and practiced. However, when I noted exponential growth in the variety of material we have from the second, third, and forth centuries, the problem is not too little material from these early Christians to process but too much material. Of course, it’s not really too much, but there is so much that putting all the data together can be quite complex. Since that is the nature of later Christian material, they offered that it’s too bad that we don’t have that same diversity with Jewish material for understanding the New Testament. While again we don’t have “too much,” we have quite a bit of theological, liturgical, historical, philosophical, mystical, narrative, etc. texts from Jews that lived within a similar time frame as the New Testament. The problem isn’t so much the limited amount of material that we have, the problem for students interpreting the New Testament is that they are almost completely unaware of the existence of the material, much less its breadth and depth. I was so much on board when the idea was initially brought up for Reading Romans in Context and now Reading Mark in Context because after seminary I was partially aware that this world existed, but I didn’t know anything about specific texts or much about particular ideas. Our goal with these is to introduce students to this world by making this material accessible to graduate and undergraduate level students. We provide glimpses into that world to help people know it exists and to get a sense of some of its flavor. With just glimpses this means that each chapter is selective, just covering one central topic. Of course, the depth and variety of each biblical passage means there’s much more that could be explored, but we hope this will whet the appetite to study these issues further.